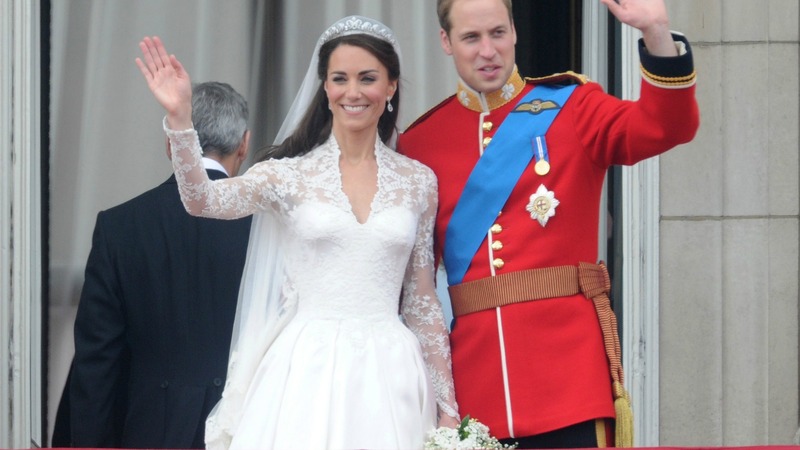 Did Kate Middleton totally rip off her wedding dress design? Nearly five years to the day that we first laid eyes on the former Kate Middleton’s gorgeous wedding gown, a dress designer is suing Sarah Burton for allegedly copying her design. Bridal designer Christine Kendall claims she sent her dress design to the palace months prior to the wedding, and even received a lovely thank you note letting her know the future duchess would be in touch if she was interested in working with her further — and she was shocked when she saw our girl Kate emerge at Westminster Abbey in a gown that looked just like the one she proposed. The Alexander McQueen brand, under which Burton designed the famed gown, is robustly defending itself against the lawsuit, and a spokesman says they are “utterly baffled” by the claim. “Christine Kendall first approached us, at Alexander McQueen, almost four years ago, when we were clear with her that any suggestion Sarah Burton’s design of the royal wedding dress was copied from her designs was nonsense. The Duchess of Cambridge has not been named in the suit, and Kendall made clear she is not implying Kate is at fault in any way. Alexander McQueen is one of the duchess’s go-to designers and she was most recently spotted wearing a McQueen peplum skirt suit on her trip to India with Prince William.